SSM Schärer Schweiter Mettler AG shows their latest applications at ITM in Turkey (April 14 -17, 2018) and welcomes the interested visitors in hall 3, booth 301A and 313A. The Swiss based SSM, the inventor of the electronic yarn traverse system, continues their tradition of trend-setting with the presentation of breakthrough technologies which will help the customers to get their goals. 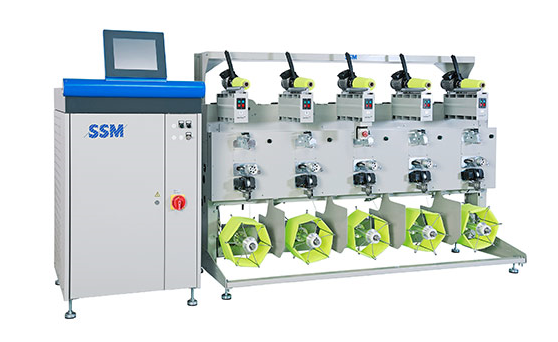 In addition, SSM presents further innovative solutions in Dye Package/Rewinding, Assembly Winding, Technical Yarns, Air Texturing, False Twist Texturing, Air Covering and Sewing Thread Finish Winding. 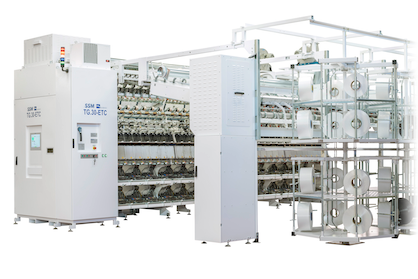 Besides the displayed applications, SSM provides a wide range of renowned textile machines. A detailed overview about SSM machinery and supported applications of the textile process chain can be found under Winding Solutions at www.ssm.ch.